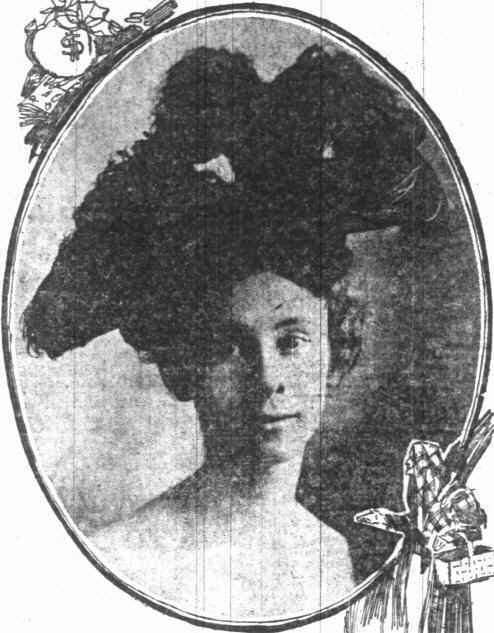 daughter of Charles and Louisa Raschig. 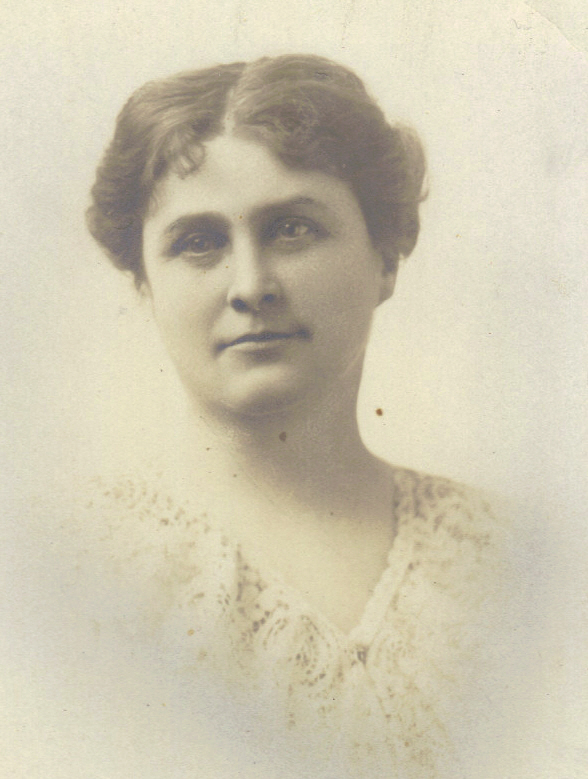 *Our great grandmother, whom we know as Florence, was born in Indiana on December 13, 1872 to Americus Fisk and his wife Melinda. Melinda died in 1877 leaving Americus with 8 (or more!) children to raise on his own. An article in an unnamed, undated newspaper (although it can be estimated to be in in the late 1800’s- early 1900’s) provides information on Florence’s younger sister, Irene Emmeline. In 1877, an Indiana millionaire by the name of Mason J. Osgood, friend of Americus Fisk, offered to adopt two-year-old “Emma”. 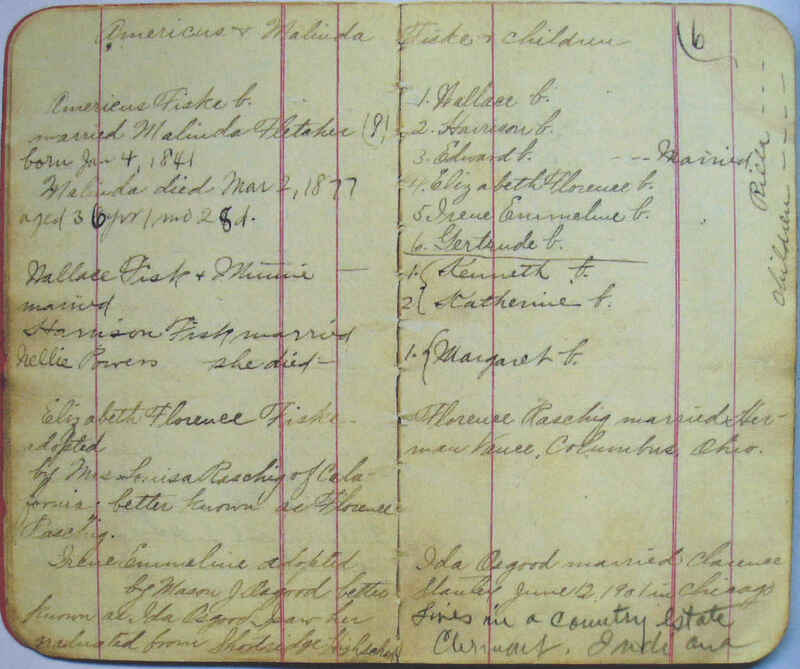 Americus accepted, and his little daughter would now forever more be known as Ida May Osgood. Florence was also adopted around the same time, but it is not clear how Americus knew Charles Raschig and his wife Louisa. All we know is that Charles and Louisa were childless, and did adopt the little five-year-old known as ‘Elizabeth’ to her father and siblings. One can only imagine the heartache felt by a man who had just lost his wife and was now giving up his two little daughters for adoption. 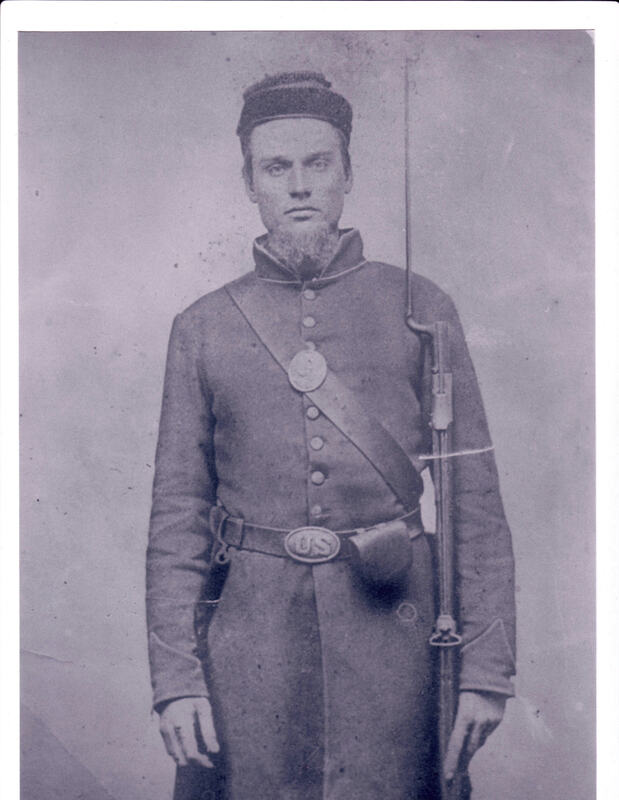 Americus Fisk served as a Corporal in the Civil War. On Christmas Eve, 1895 Florence Raschig married Herman Evans Vance. Their son, Robert R. Vance would later have a little girl named Marjorie Ann Vance: Bob, Vance, Marcia and Kathy’s mother. 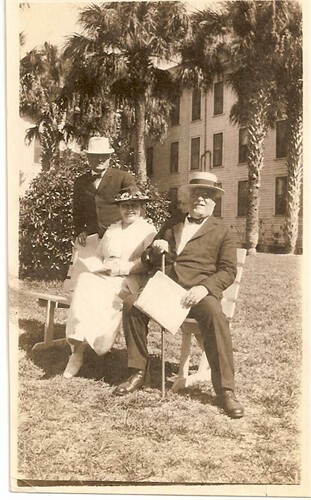 Florence with husband, Herman Evans Vance, and his brother, Ned (standing). Probably in California.